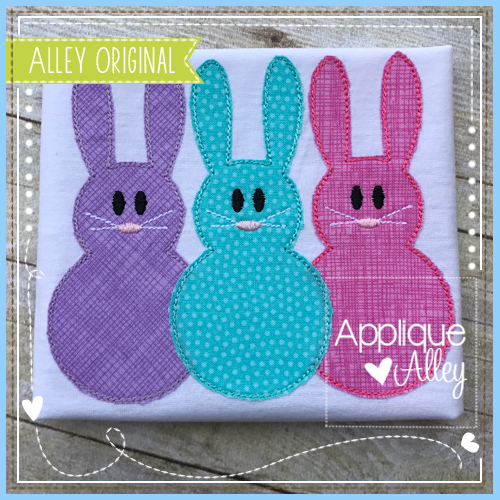 3 Simple Bunnies, Vintage Stitch Applique - 4 Sizes! Quick stitch. Easy peasy , too! 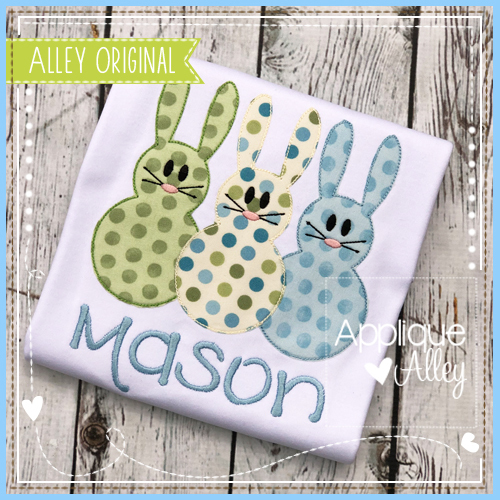 These bunnies need some love! Alphabet is not included. 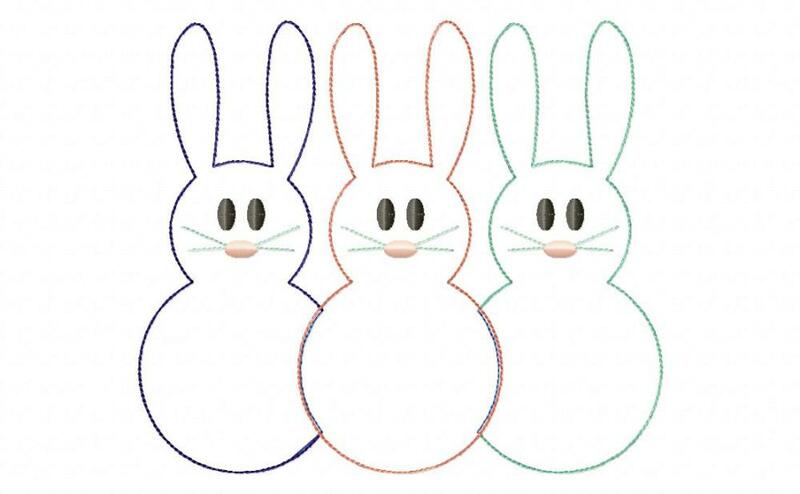 Blanket Easter Eggs Nameplate Applique - 4 Sizes! 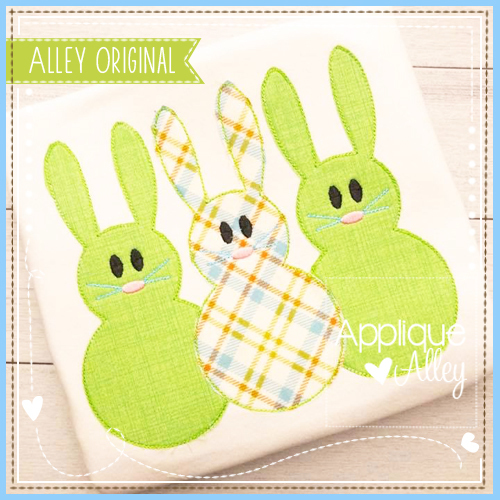 Blanket Stitch Back of Bunny Applique - 4 Sizes! 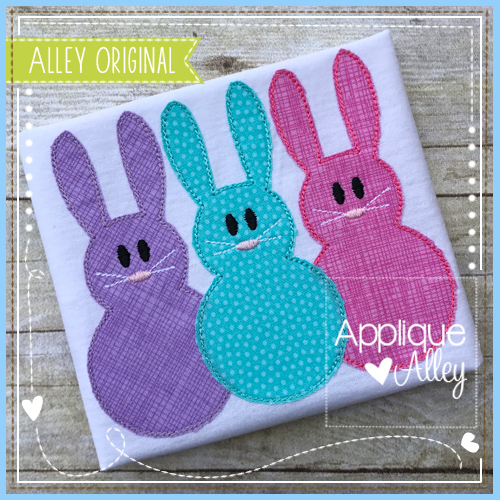 Cross Scallop Applique - 4 Sizes! Finish Size 5.11" X 4.42"
Finish Size 6.28" X 5.43"
Finish Size 7.53" X 6.51"